Ryan Maus serves as the director of digital production for Gopher Digital Productions, the video, broadcast, and web arm of University of Minnesota Athletics. 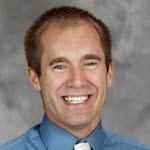 He currently manages the 10-person GDP staff, which is responsible for the Gophers’ multimedia content (in-arena and web), live broadcast operations, and maintenance of GopherSports.com, the official website of Gopher Athletics. From 2011 - 2014, Maus also served as Minnesota Athletics’ first full-time social media community manager and helped shape the department’s digital strategy. Prior to his time with Minnesota Athletics, Maus spent three years with the University’s news service in the University Relations Department, working in public/media relations, social media, and video production. He has also spent time with the Minnesota Timberwolves and St. Cloud River Bats of the Northwoods League. A native of Northfield, MN, Maus graduated from St. Olaf College and resides in Minneapolis with his fiancé.